0 | 3 students enrolled. "Technical Analysis for Everyone" is an exhaustive course on the field of technical analysis. Over 10 hours of recorded content explains you though various facets of the subject in a simple yet detailed manner. Each video is dedicated to a single concept, so that too much content is not explained at one go, in return your understanding & learning is complete. You can also have Lifetime ownership of all these videos on your GoogleDrive, so that you can view and learn irrespective of internet availability. 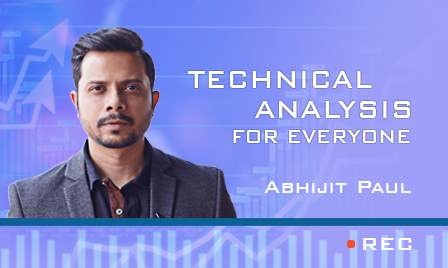 "Technical Analysis for Everyone" is developed keeping your final objective in mind, that is, to be able to analyse any financial market chart on your own and take profitable trading decisions. Accordingly, each concept is explained in an elaborate yet simple manner, so that there liew on loopholes in your understanding. Post these 50+ videos, you will be in a position to be able to easily analyse and trade any price chart - You will be your own trader. Students enrolling for "Technical Analysis for Everyone" has the possibility of earning a "Certificate of Completion". We used the "earning" because for this you have pass through a test which is designed by Mr. Abhijit Paul himself. And depending on your marks, you might be eligible for an online internship with him for his company Six Edge Consultants. Obviously all students have the possibility of interacting with Abhijit Paul, once you have enrolled for this program. This course is for freshers who are new to the market and would like to know the concepts of technical analysis in detail. New Investors, Retail Traders, Brokers and Sub brokers, Financial Service Professionals shall also benefit from "Technical Analysis for Everyone" course as it shall enhance their knowledge base, understand market dynamics of demand and supply and help to predict future price movements.